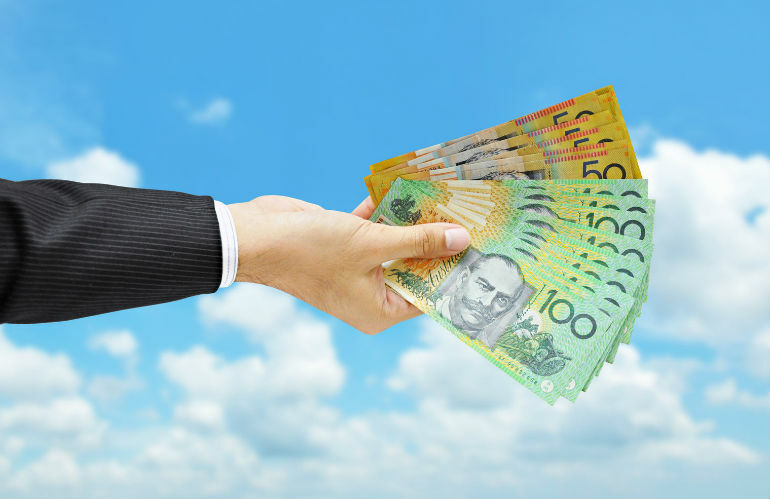 Is your not-for-profit organisation tapping into the many lucrative opportunities that are available through grant funding and government tenders, asks business development consultant Robyn Haydon. Are you already winning business this way, but hoping to win more? How confident are you to pitch your organisation effectively against competitors, to sell your value, and to win the funding you really deserve to win? Recently, Commissioner of the Australian Charities and Not-for-profits Commission (ACNC), Susan Pascoe, AM, identified three interrelated challenges for not-for-profit sector over the next five years; income, performance measurement, and efficiency. Maintaining and increasing income, and diversifying funding sources, are perennial problems for most NFP leaders. But the money is out there, if you know how to get it. Last year, the Commonwealth government published over $47 billion worth of opportunities on Austender, its online purchasing site. This included almost $3 billion on services relating directly to not-for-profit sector activities, in categories like education and training, health, and community and social services. State governments are also big spenders. For example, more than half of the 750 contracts issued by the Victorian government in the 30 days before the end of the 2016/17 financial year were from the Department of Education and Training, the Department of Health and Human Services, or the Department of Justice and Regulation – all customers with a history of providing opportunities to not-for-profit organisations. So how can you win more government business, and get more funding for your not-for-profit organisation? It all starts with where you spend your energy and your time. Your offer is by far the most important element in your pitch for funding. To build a compelling offer, you must clearly articulate what the customer will be buying from you, and why this is the best option for them. As this model shows, successful bidders tend to spend more time and energy working on their offer. (The numbers represent a percentage of total time). Winners invest time and energy in developing their strategy and key messages (by exploring what the customer most wants, what they can best deliver, and what positions them most favourably against competitors) and in content and evidence planning (thinking deeply about the customer’s questions, structuring their offer, and finding evidence to substantiate their claims). In contrast, losers tend to jump straight into writing and content creation (answering the tender questions) and end up with a lot of narrative that just isn’t very convincing. As a result, they also spend too much time on pre-submission polishing; effectively, re-writing the parts of the submission that just don’t work. Know your value. Successful new business pitches are a case of “ready, aim, fire”. Take a really good look at the work you do, and be ready by knowing exactly how you create commercial value for your customers. Bid less to win more. You can double your win rate by halving the number of tenders you go for, concentrating your energy and effort where you have the greatest chance of success. Carefully analyse everything the tender is asking for, and answer the ‘question behind the question’. Why did they ask this question? What do they want to know? How will the answer affect their decision-making process? Many tender questions are made up of more than one part, so don’t just skim the surface. You’ll miss something, and this could count against you. Provide evidence to support your claims. Tender evaluators have to give each part of your proposal a score. To get a top score of 10 out of 10 or eight out of 10, the evaluator will have to justify that “all claims are fully supported” in the part of your proposal they are reviewing. Make sure you present it beautifully. These days, when people are selling their home, they’ll often spend thousands on staging and furniture to show it off to potential buyers and to achieve the best price. Think of your tender response like that. It’s the only chance you’ll get to make a first impression. A proposal is often the first piece of work a customer will see from you. As a not-for-profit leader, it’s your job to invest in your proposal effort, and help your staff build the mindset, skills and confidence that will result in new business wins. About the Author: Robyn Haydon is a business development consultant whose customers have won hundreds of millions of dollars worth of business with some of Australia’s largest corporate and government buyers. She is the author of three books, including bestseller The Shredder Test – a step by step guide to writing winning proposals, and her Pimp My Proposals program provides the cultural, commercial and competitive shift your organisation needs to win more competitive tenders and proposals. 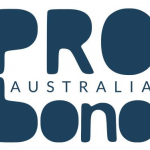 Enter the promotional code “PROBONO” when booking for either Robyn’s September 14 or March 23rd Master Class in Writing Winning Tenders and Proposals and you will receive copies of all three of her books (worth $109) for free.